optimizing animal care and ensuring food safety. Read the article below, click on the stories, print and use the infographics, and enjoy the video for a history of this unique collaboration— the first of its kind in the country. Recognizing a need to respond and be proactive, a committee of dairy producers, government agency representatives, industry leaders, and university specialists gathered to create the California Dairy Quality Assurance Program (CDQAP), ensuring high-quality milk production and continuous improvement in environmental stewardship. 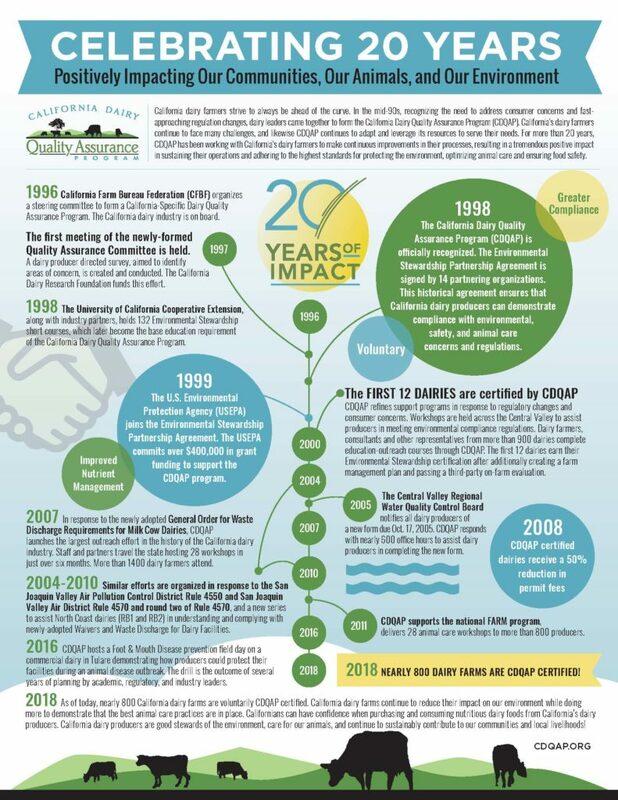 It was also a prime opportunity to demonstrate the commitment of the California dairy industry to producing high quality, safe products, in an environmentally friendly, animal care-conscious manner. 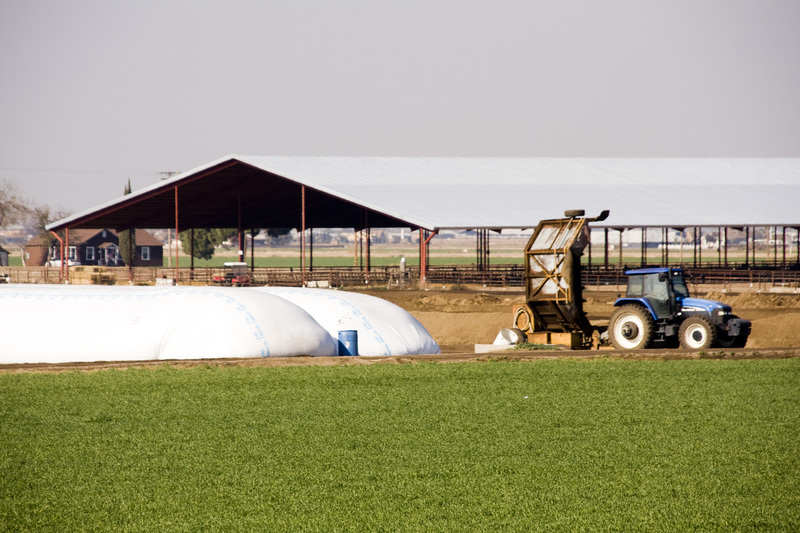 Initial funding was provided by the California Farm Bureau Federation, California Department of Food and Agriculture and the California Dairy Research Foundation (CDRF). Dr. Michael Payne, a University of California veterinary researcher was brought on board to direct the program and Dr. Deanne Meyer, University of California Cooperative Extension specialist, was enlisted to develop educational programs. 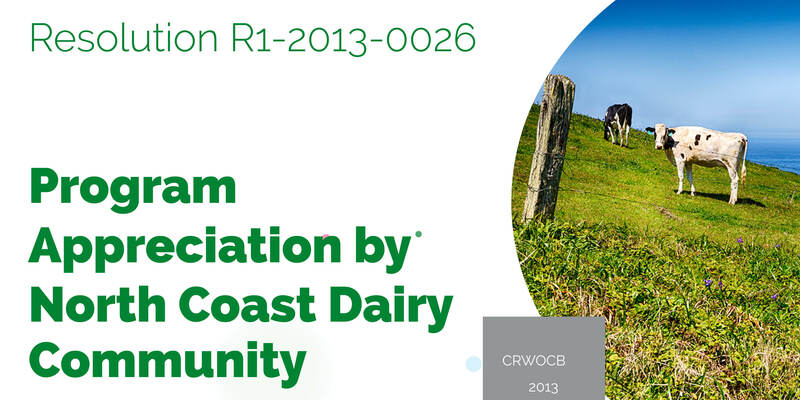 Continued CDRF funding provided an important direct tie to dairy producers through check off dollars, and industry expertise. The CDQAP has had a positive impact. 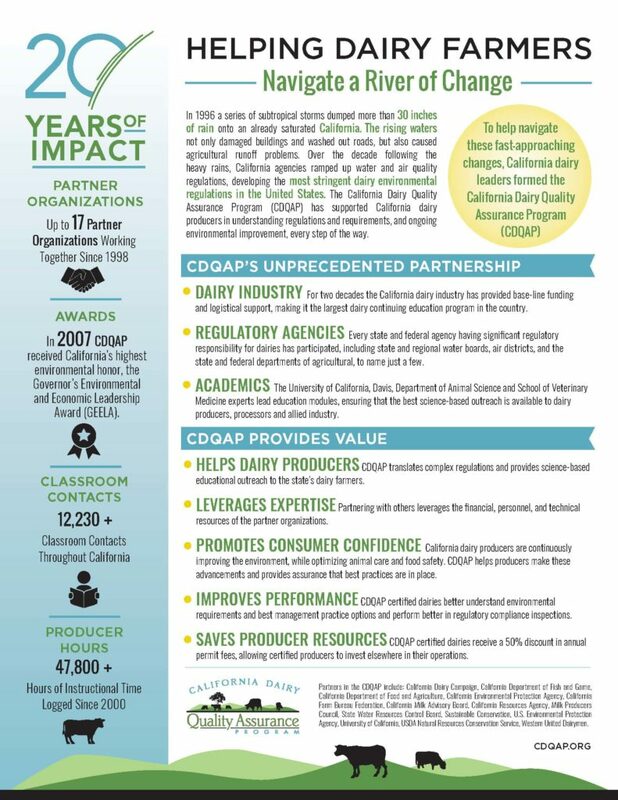 Dairy producers who have attended CDQAP workshops better understand regulatory requirements, industry best management practices, and scientifically-sound options for protecting air and water quality. 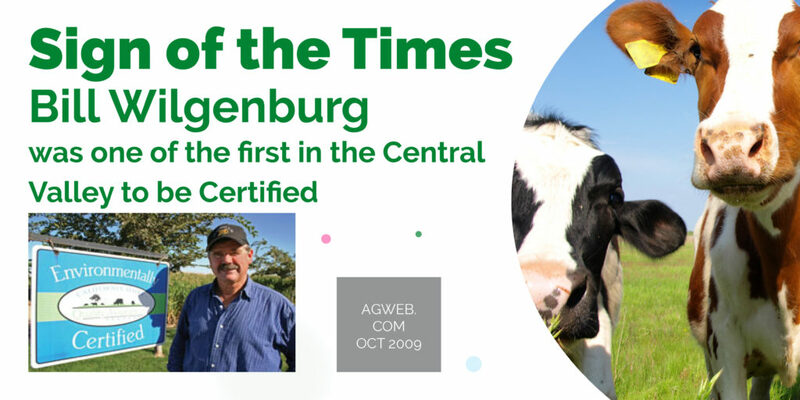 CDQAP certified dairies perform better in regulatory inspections. 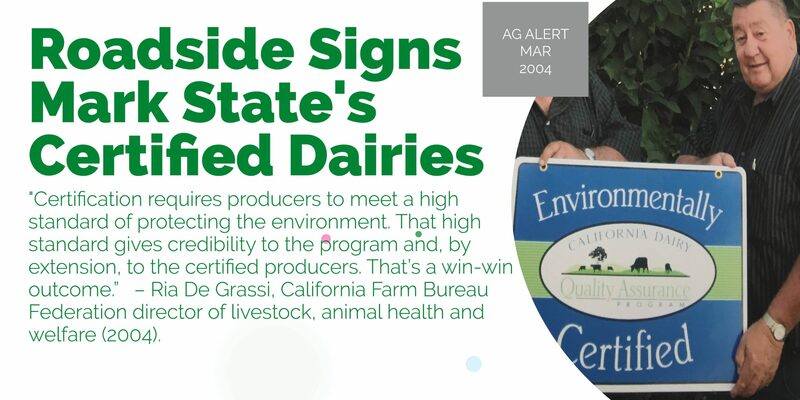 And with more than half of California dairies certified as leaders in environmental stewardship, consumers are assured that their dairy products come from farms that diligently work to reduce their environmental impact and demonstrate the best animal care practices. 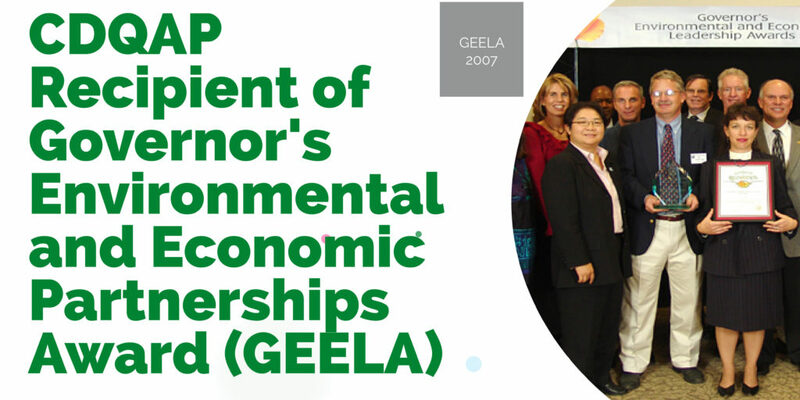 We Sincerely Thank Our Current and Past Partners for Their Support, Input, and Expertise.